Cat Behavior Problem? Solving Cat Behavior Issues Since 1999. Great success! Today made 19 times in a row defecating in the box! Go to: Cat Urination. We have performed thousands of urination consultations since 1999. This is by far the number one behavior issues with cats. Go to: Cat Defecation no matter where it’s occurring. Go to: Spraying with Urine is a destructive marking behavior such as middening is with feces. Aggressive cat behavior with the owner, other cats, or people within the household. There are several types of aggression and you may have more than one type at play. Yowling, excessive vocalization, and compulsive behaviors. Clawing and other destructive behaviors — stop your cat from scratching the furniture. Other so-called “bad cat behavior”. 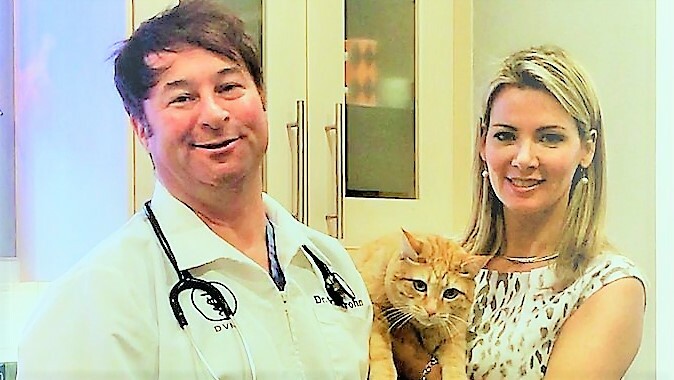 Last, but not least, along with your vet, we can help your cat get the medical intervention it might need in addition to our behavioral expertise — some behavior problems are caused or exacerbated by pain or illness. Behavior problems caused by pain or illness often persist even after the medical problem is solved, and we’ll tell you when you need a good vet. Read about our Outstanding Clinic Success Rate. Read over 200 solved case studies and clinic testimonials. Learn more about past and current animal behavior studies through Oxford University, The University of Edinburgh – The Royal School of Veterinary Studies, and Mieshelle’s behavior study and experience at Yale and Harvard. Specialized behavior study has helped enable her to solve cat behavior issues since 1999. 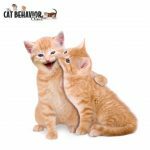 There is simply no cat behavior problem we have not helped our clients solve many times — or that we cannot help you to solve now. Like most expert cat behaviorists, we are able to achieve full success with you over the phone or by Skype or Zoom video. Learn why. Contact The Cat Behavior Clinic to schedule a behavior consultation for your cat (or cats) at 1-503-267-8888. Introducing (and re-introducing) new kittens, other cats, other animals, or new people to the household, using The Nagelschneider Method, a highly effective scientific system for reducing hostility available only from the Clinic’s own behaviorists. Contact The Cat Behavior Clinic to schedule a behavior consultation for your cat (or cats!). Mieshelle consults with cat owners worldwide from California to Norway. Dr. Jim Shultz performs in-home consultations locally only.